Well, spring is here and so are my allergies! I never really had allergies until I moved to Colorado. Since I have moved here I have had to take some form of medicine to feel like a normal human being. I have always heard that consuming local honey can help relieve allergy woes, so there was no better week than this week to buy some! I went to Vitamin Cottage to get some and was not disappointed. 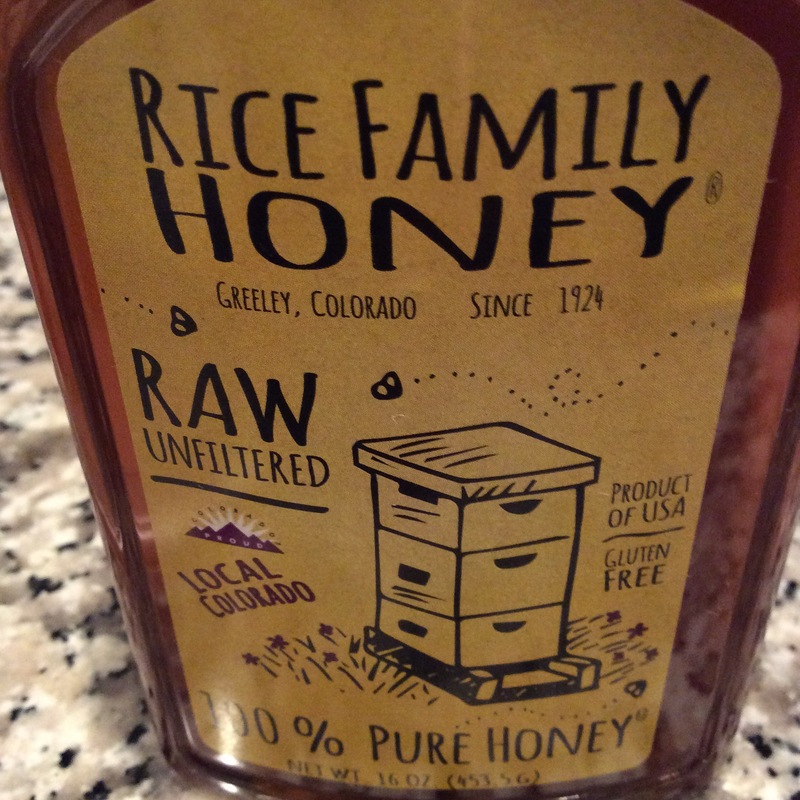 I found a honey from Greeley, Colorado from Rice Family Honey. They have been open since 1924. After listening to the audio book from my last thing on my list, I have really enjoyed looking more into the history of Colorado and historic things. So this seemed like a perfect honey to buy. The fun thing is, the visit to Vitamin Cottage and the purchase of honey is putting into motion other tasks on the list! Stay tuned for those… 🐝.